indefinitely with no adverse effects. operating over the carrier frequency range from 182 to 205.7 MHz. completed the yellow LED will flash. added output capability and extended coverage. AKG Acoustics is a well-known supplier of various stuff including car audio and video. Our team collected 113 verified pdf files created by this brand . 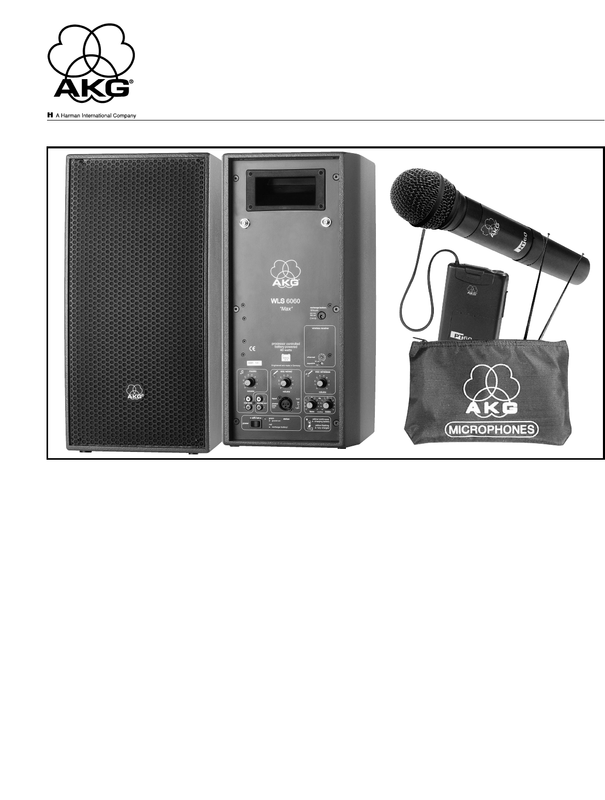 Now you're reading a user guide for AKG Acoustics DJ Equipment WLS 6060 MAX.